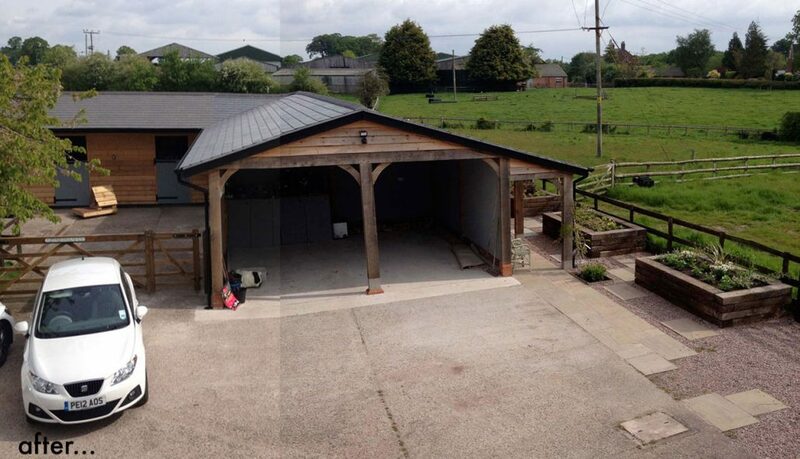 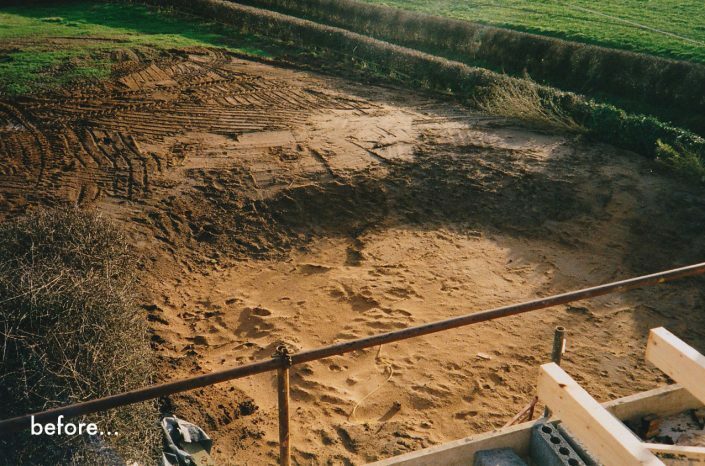 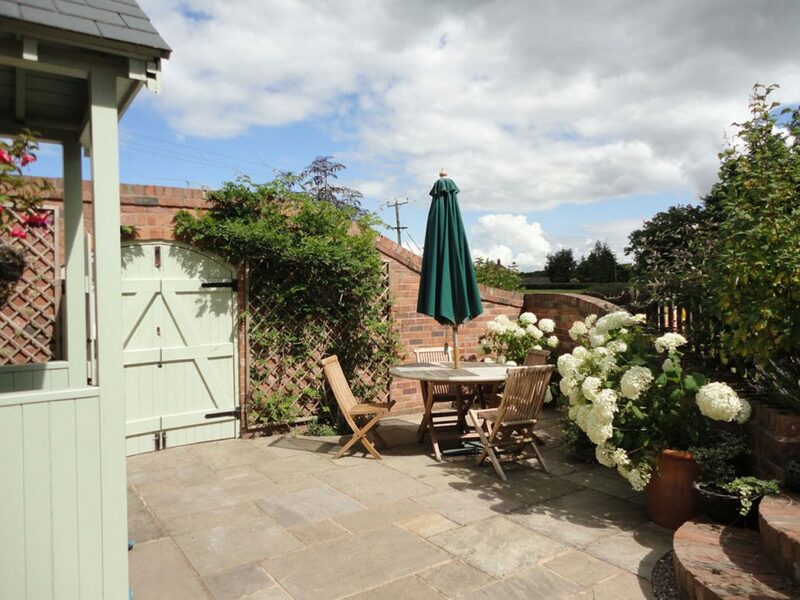 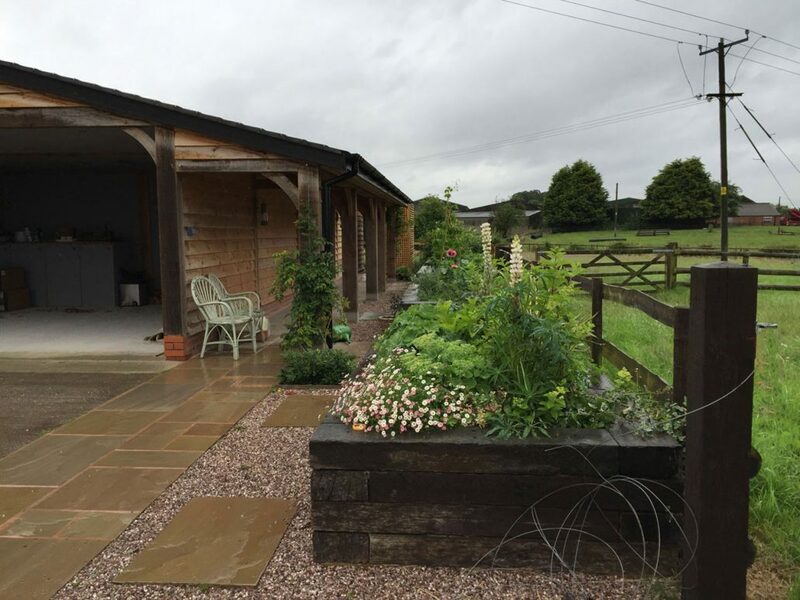 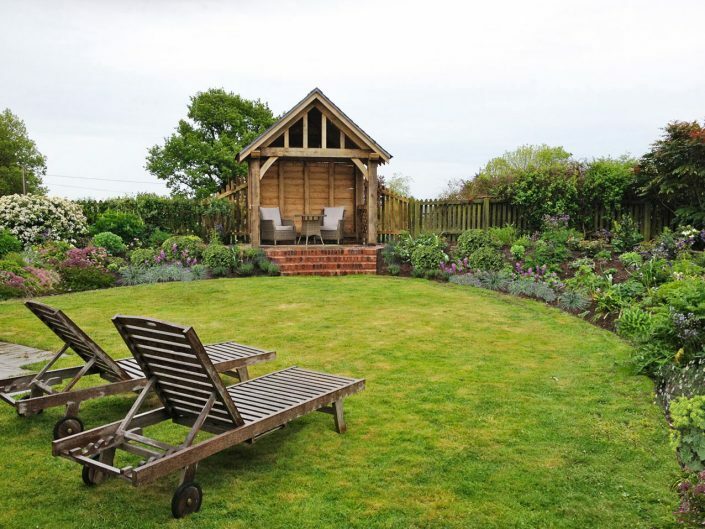 A country house set into a field with stables and large stable yard had lots of potential and plenty of space to create a new garden, new structures and features to compliment and enhance the property. 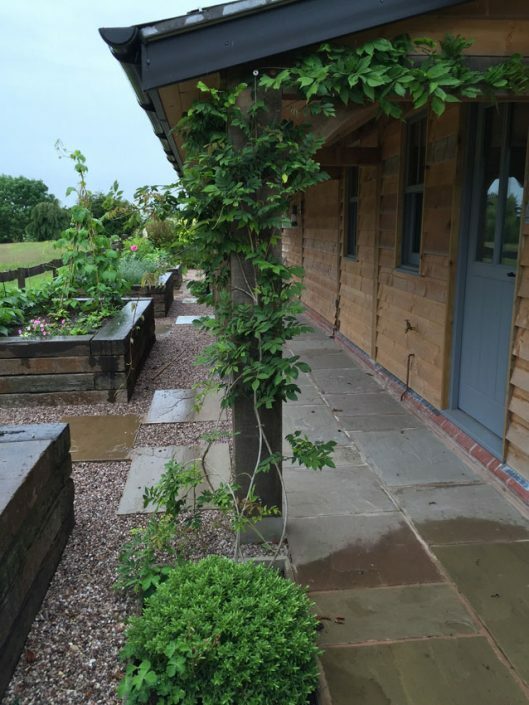 As the house and grounds are sited in a rural setting the aspect of the land was key to the success of the design. 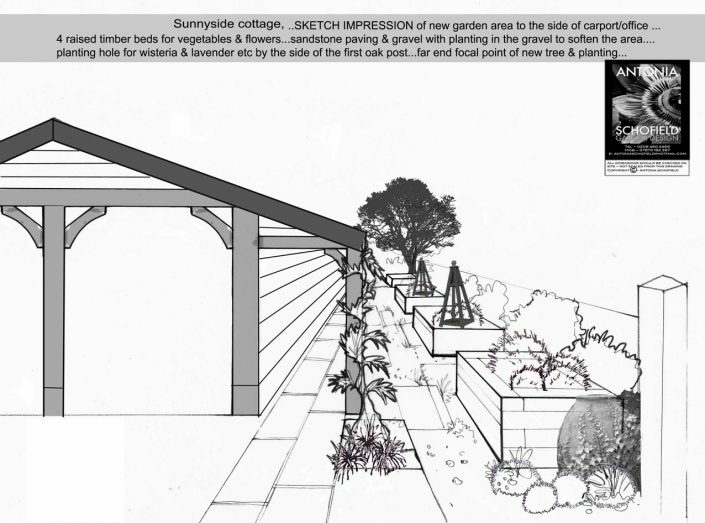 The architecture of the house with its pitched eaves and the oak beams also provided key inspiration and design style. 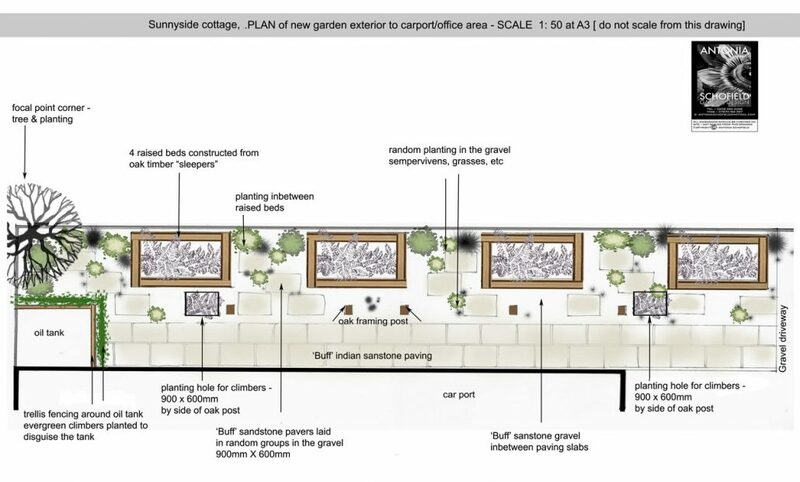 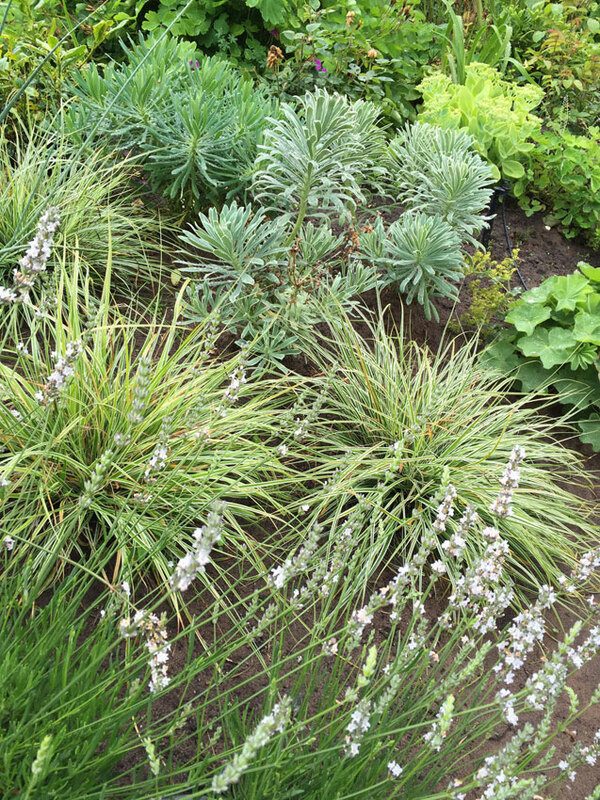 The garden area was designed around a half circle shape with high banks of planting to provide some much needed shelter from some harsh winds. 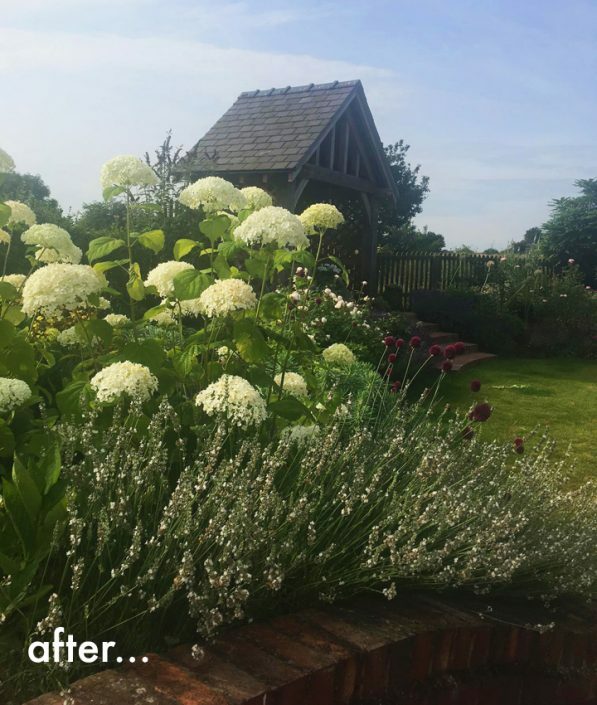 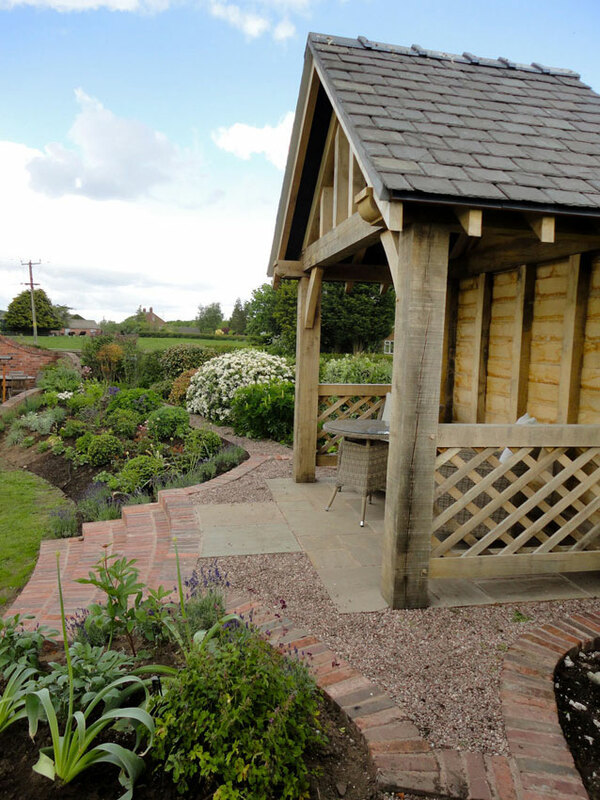 The client has a huge passion for romantic ‘English’ gardens and wanted to create a new space that she could enjoy from different aspects, and take advantage of the views across the countryside. 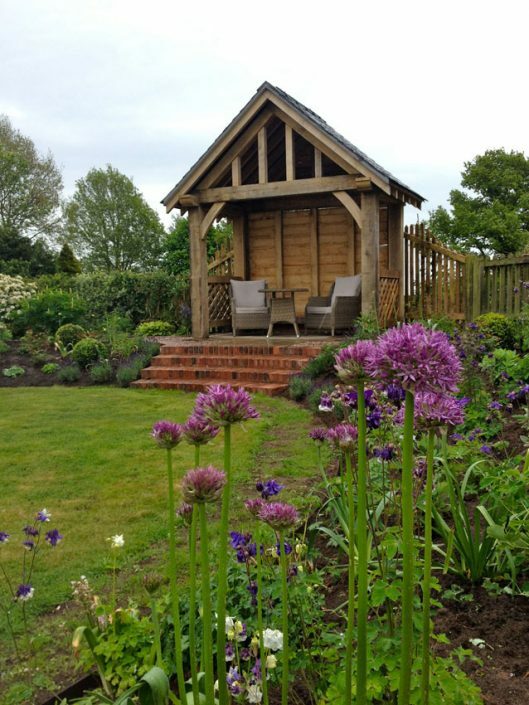 The focal point of the garden was the Oak Gazebo – classic and rustic in style blending beautifully with the timber eaves of the house. 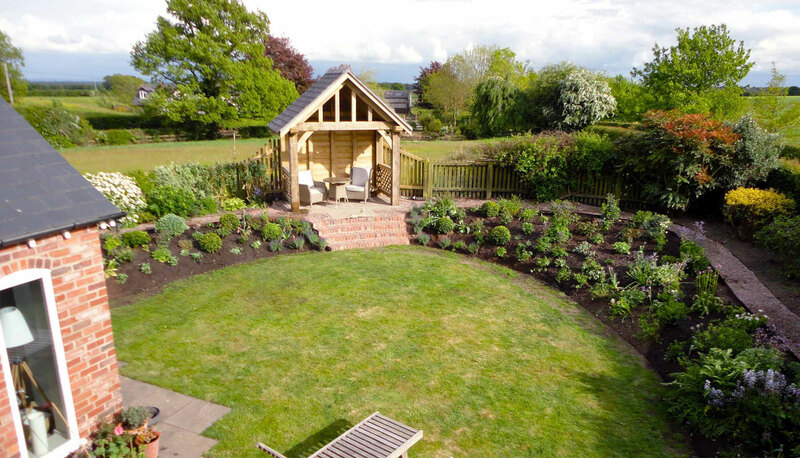 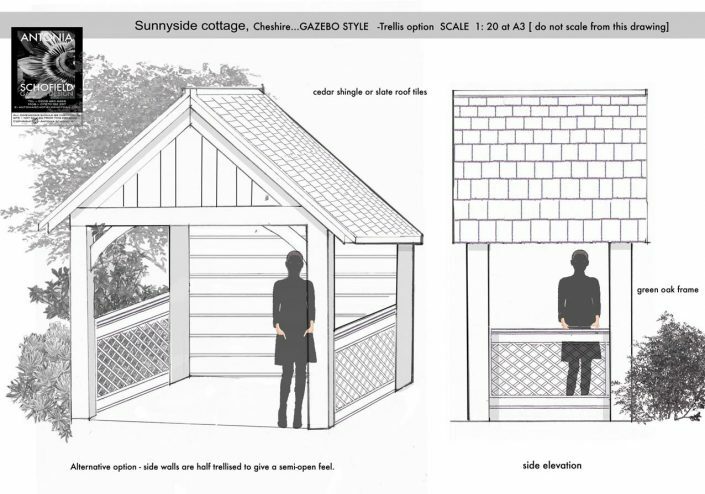 The Gazebo was carefully positioned to face west for casual entertaining and chilling with a glass of wine on a summer evening, catching the last of the setting sun. 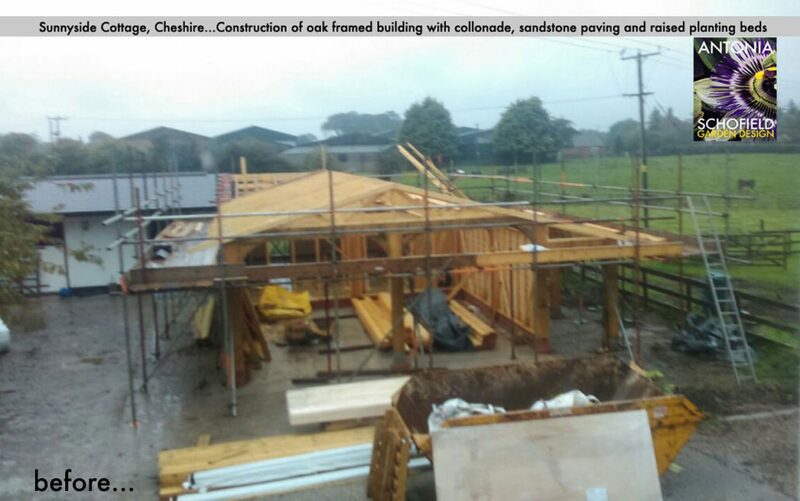 The theme of ‘chunky oak’ was carried further on by the addition of the large stable block, carport, and office building. This imposing timber structure was built in a style classic in keeping with rural area. 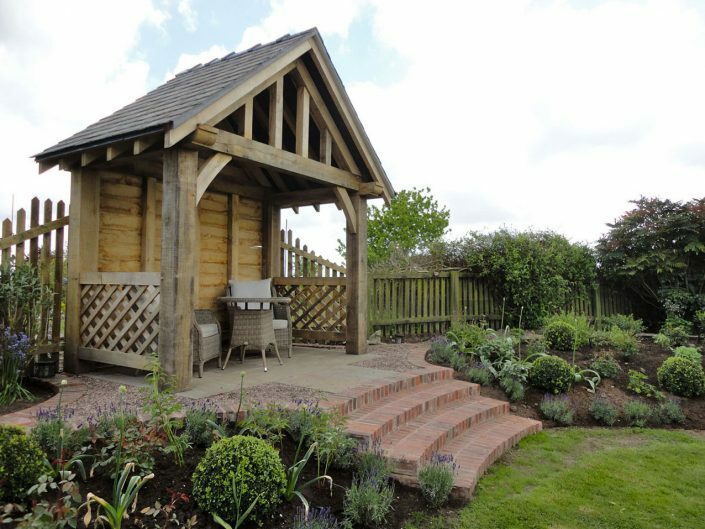 A charming oak colonnade walk with views across the fields provided another opportunity for a garden area. 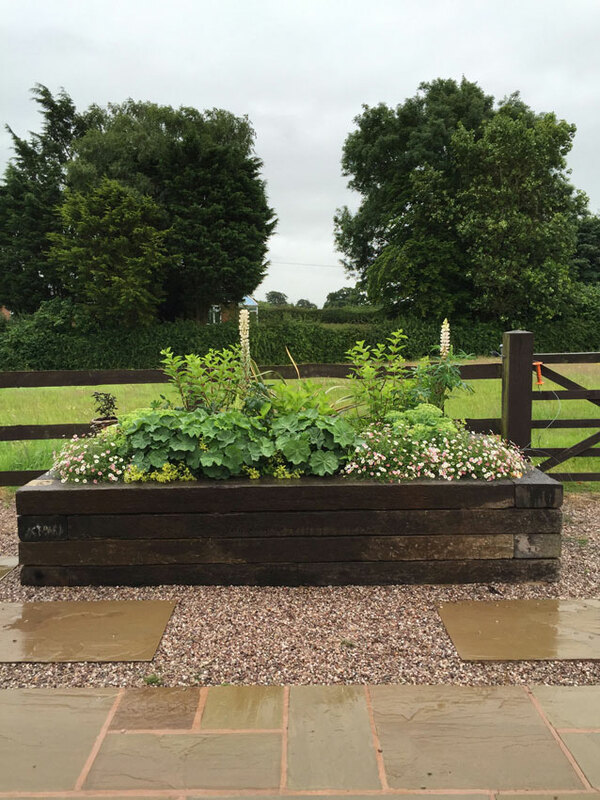 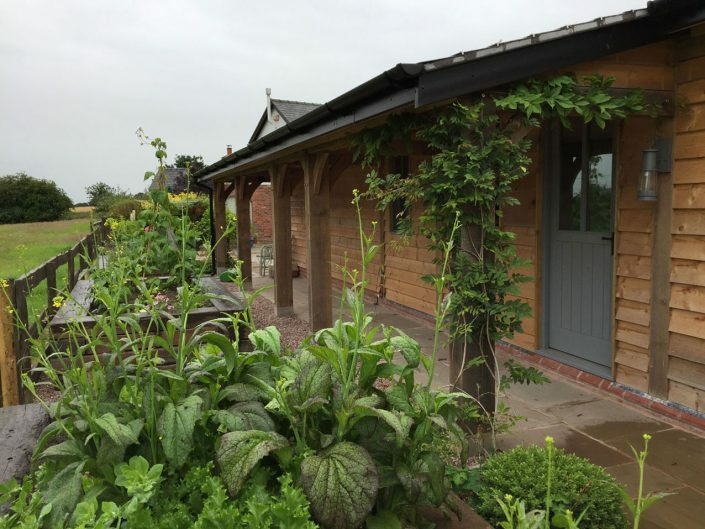 Chunky reclaimed timber sleepers made great raised beds for vegetable planting, flowers and climbers that looked great beside the colonnade and outbuilding. 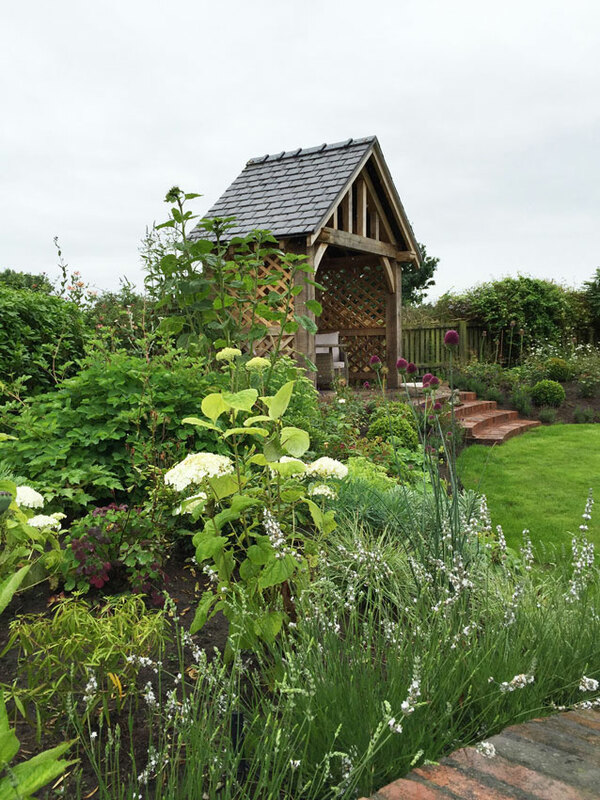 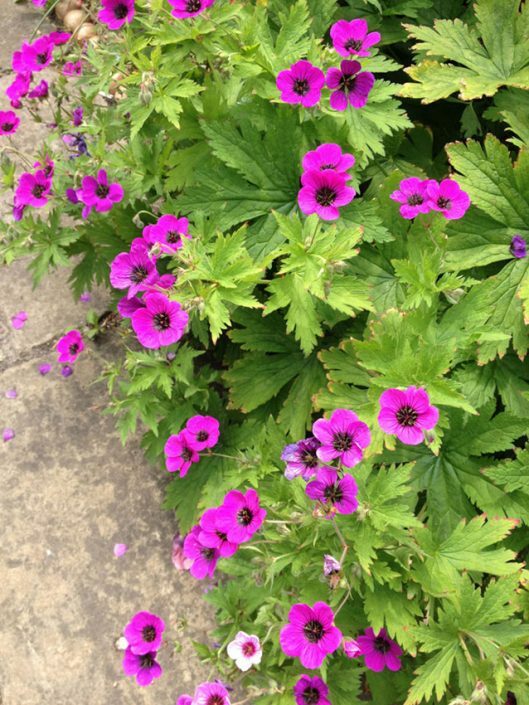 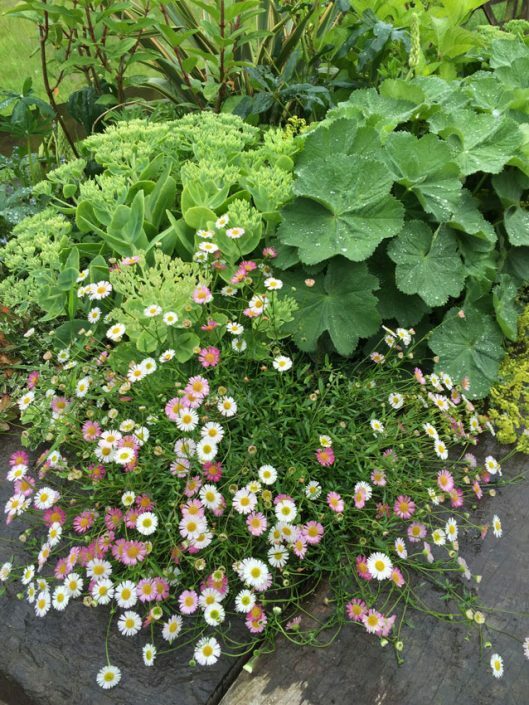 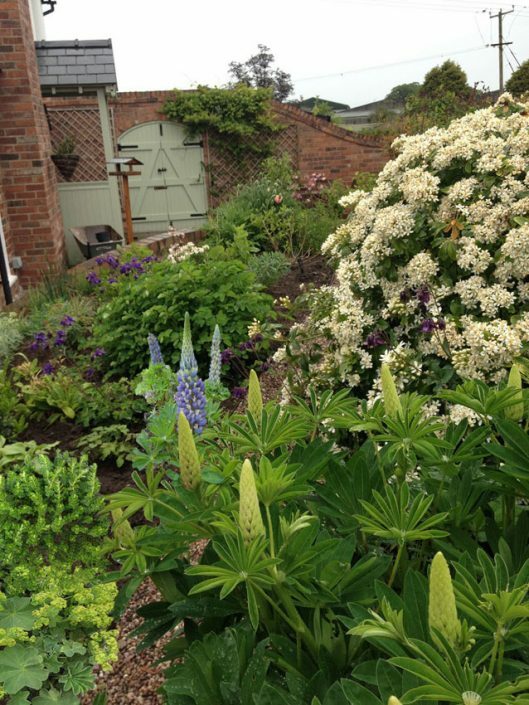 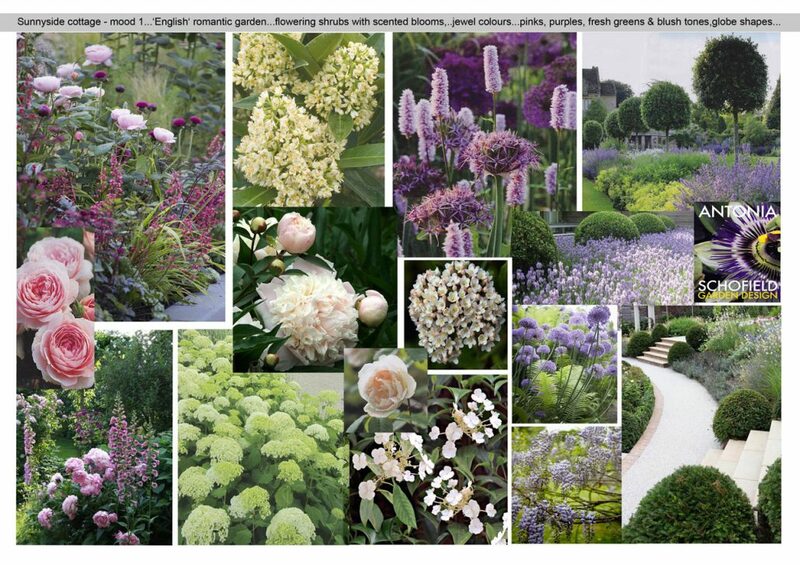 The planting scheme was all about the romantic English country garden, and each area and border was colour themed into rich purples and pinks, fresh greens, pink and white, and limey greens, variegated foliage and whites. 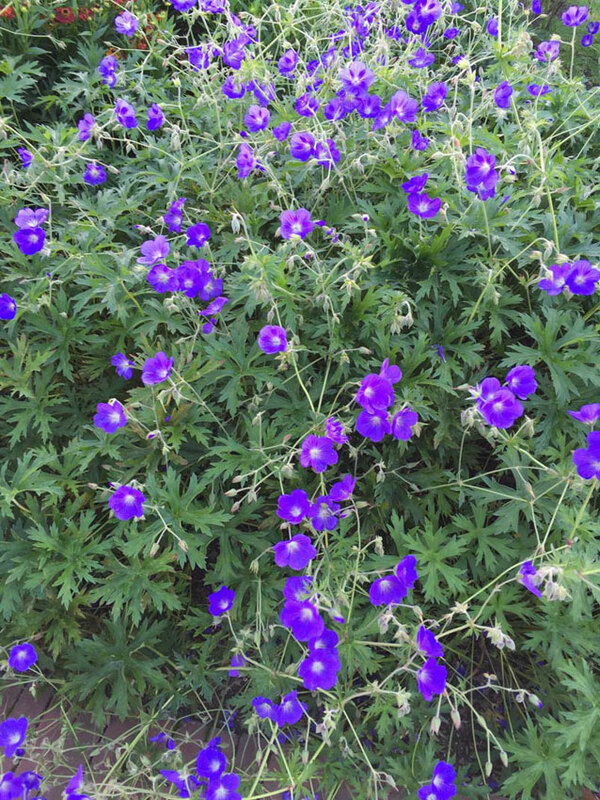 A classic mix of a backbone of evergreen shrubs complimented by pretty perennials and a few soft wispy grasses. 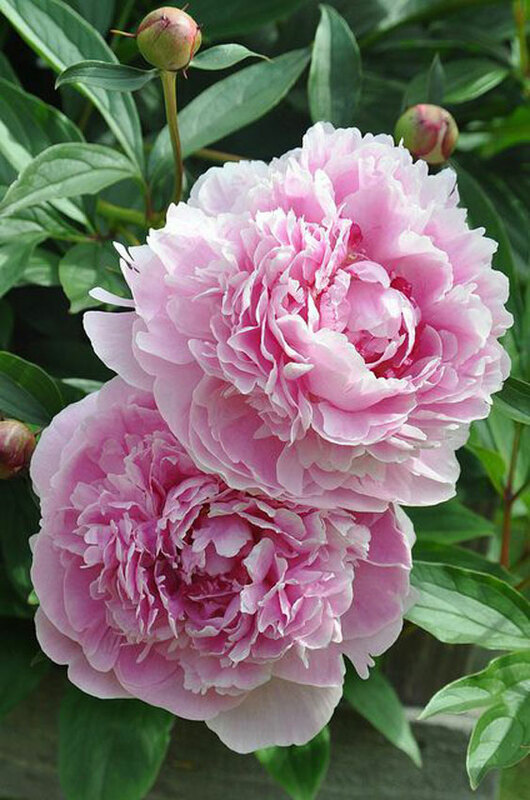 Scent was also key, so roses, jasmine, peonies, lavender, were planted to fill the air with their glorious perfume.